Spending all day driving screws is a tiring job, especially if the tool you're using to do it is bulky and heavy. 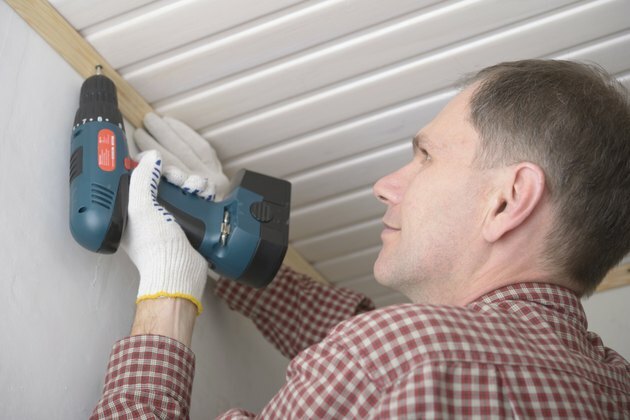 Lightweight electric screwdrivers are designed to make the task easier, but they do so by sacrificing much of the power and versatility of an electric drill. 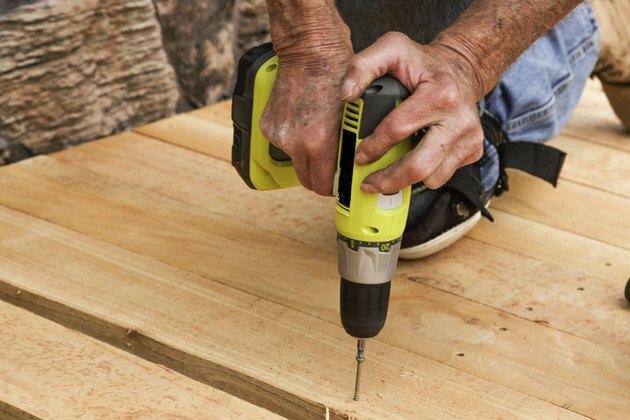 If your to-do list includes more than just screw driving, a capable cordless drill is probably a better choice for your tool kit than a cordless electric screwdriver. 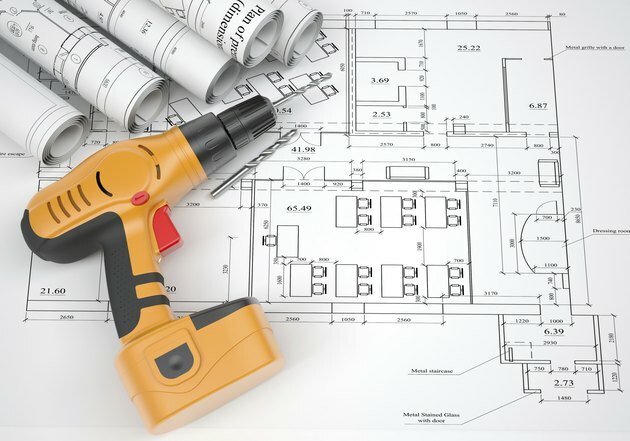 An electric screwdriver sitting on architectural plans. 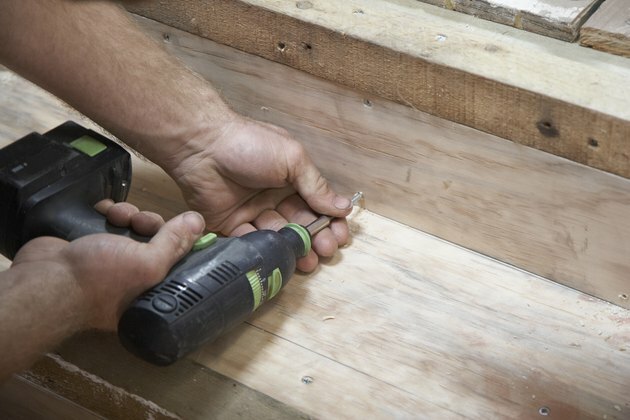 A carpenter is using a cordless drill to make a staircase. Torque is a measurement of twisting force, and the amount of torque that a tool produces is an indicator of the tasks it's capable of accomplishing. In general, lightweight electric screwdrivers tend to use less powerful, lower voltage motors than many cordless drills, so they may not be up heavy-duty tasks such as driving long lag screws into hardwood. Cordless drills with 18-V or 20-V motors, on the other hand, can handle just about any screw-driving task. A construction worker is using a cordless drill. The power of a heavy-duty cordless drill typically comes at the cost of extra weight. Professional-level cordless drills may weigh in excess of 6 pounds, making them wearisome to use for long periods of time. Less powerful drills are lighter, but few of them can match the weight advantage of electric screwdrivers, many of which weigh less than a pound. Electric screwdrivers are generally small, too, and many models will fit in a roomy pocket. A man is attaching molding to his ceiling using an electric screwdriver. The small size and light weight of electric screwdrivers make them relatively nimble compared to most drills. They're ideal for driving screws in tight spaces, and many models feature adjustable angled drive heads for even better maneuverability. For overall versatility, however, the specialized nature of an electric screwdriver limits its usefulness compared to a drill, which can do much more than just drive screws; electric screwdrivers can drill small holes in soft woods, but their drilling capacity is limited. A couple is drilling into the wall to hang a photo. In terms of monetary cost vs. tool capability, electric screwdrivers don't necessarily compare well with electric drills. The least expensive electric screwdrivers cost less than heavy-duty cordless drills, but more expensive screwdriver models typically cost more than inexpensive drills that are more powerful and more versatile. Can I Use a Hammerdrill As a Regular Drill? Can You Use a Router Bit With a Drill?